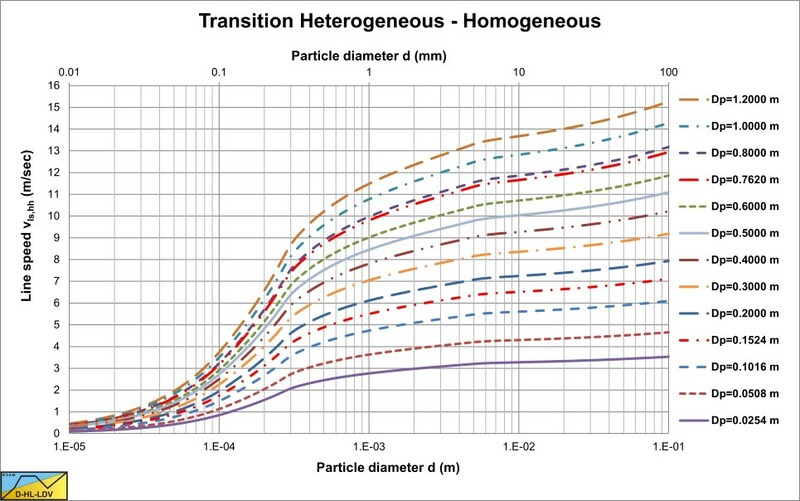 The transition line speed of the heterogeneous flow regime and the homogeneous flow regime gives an indication of how good or bad different models match. For different models graphs are created for a spatial volumetric concentration of 17.5%. For other concentrations the graphs may differ, especially the volumetric transport concentration graphs. 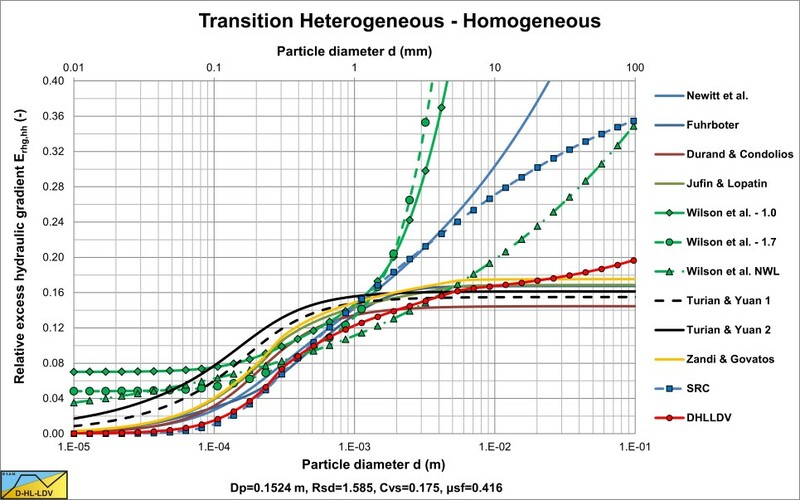 The transition (intersection point) between the heterogeneous flow regime and the homogeneous flow regime (the equivalent liquid model) is a point where most dredging companies operate for medium sands. This point is at a line speed higher than the Limit Deposit Velocity. 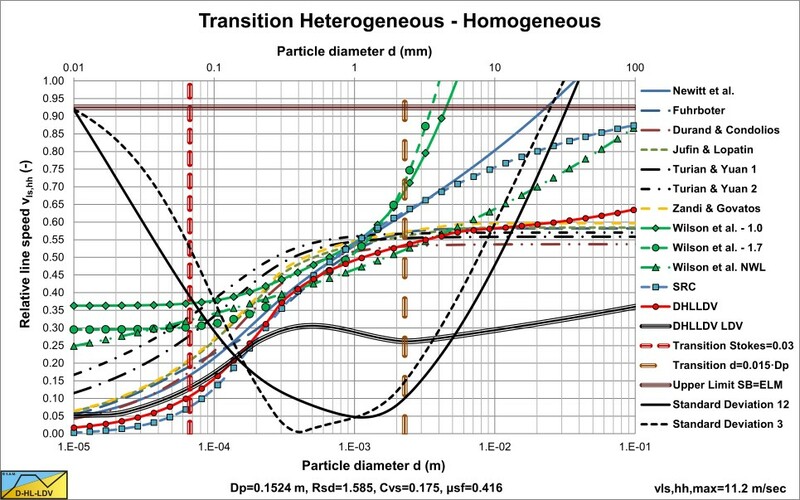 This transition line speed is a good measure to compare the different models for the heterogeneous regime. For small pipe diameters (Dp=0.15 m) the different models are very close, since most models are derived from experiments with small pipe diameters. For larger pipe diameters however, the models deviate. The following two figures show the relative transition line speed and the transition relative excess hydraulic gradient. For the DHLLDV Framework the transition line speed has been determined for a set of pipe diameters as a function of the particle diameter. The following graph shows the relations found.